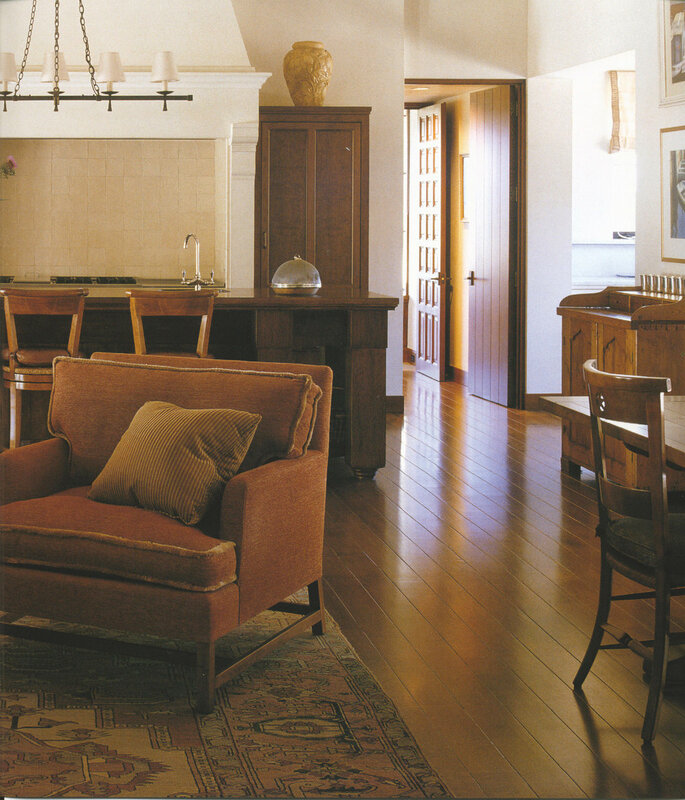 As seen in the “California Country Style” by Diane Dorrans Saeks, this project, located in the Healdsburg area, is a family home remodeled with references to Mission Revival and Spanish Colonial Revival architecture. Custom carpets and large scale furnishings were designed to complement the bold scale of the architecture and to blend with the house’s casual character. The color scheme was influenced by the natural materials found on the site.